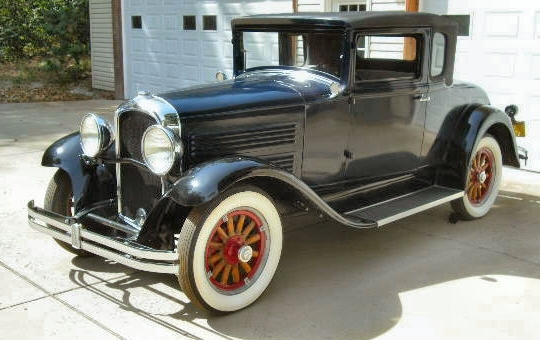 Roosevelt was a brand of American automobile that was manufactured by the Marmon Motor Car Company of Indianapolis, Indiana, United States, during the 1929 and 1930 model years. The Roosevelt was named after President Theodore Roosevelt and designed to be priced as an "affordable" automobile. The Roosevelt was the first automobile in America with a straight-eight engine to be priced under $1,000, with the sedan and coupe selling for $995. ^ a b Kimes, Beverly Rae (1996). The Standard Catalog of American Cars: 1805-1942. Iola, IA: Krause Publications. p. 1612. ISBN 0873414284. ^ "The Roosevelt". Pittsburgh Press. April 21, 1929. Retrieved 8 December 2012. ^ "Marmon-Built Roosevelt Auto On Display Here". Schenectady Gazette. March 27, 1929. Retrieved 8 December 2012.